Women’s rights in Saudi Arabia have always been a contentious issue. Women have only recently won a limited right to vote, they can’t work close to men and the debate over whether they should be allowed to drive has gone on for years. The World Economic Forum in its 2016 report on the global gender gap ranked Saudi Arabia 141 out of 144 countries for gender parity — down from 134 out of 145 in 2015. Only Syria, Pakistan and Yemen ranked lower. But laws and regulations are changing, as a review of the kingdom’s strict guardianship provisions gets underway. And as it turns out, some of the widely practiced restrictions on women in Saudi Arabia are enshrined not in law, but in social practice. Women are beginning to test those limits, but many are not sure of the rules. Can women file for divorce? Sue for child custody? Pursue criminal charges if a brother steals their jewelry? 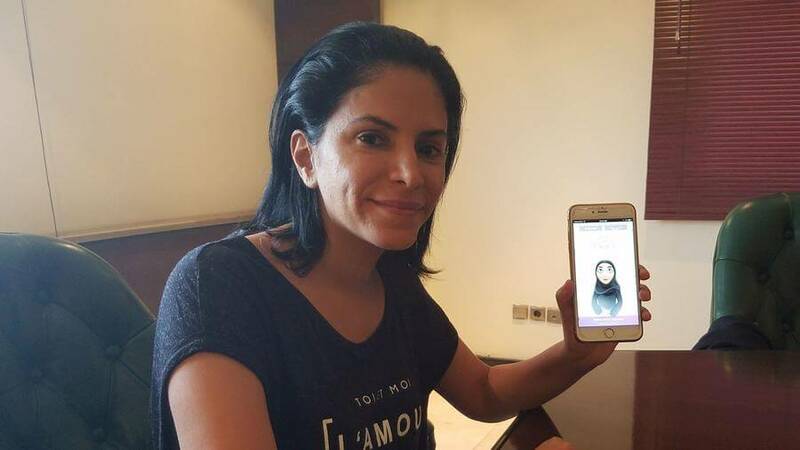 After fielding questions from women confused about their rights, Saudi lawyer Nasreen Issa, 30, created an app for iPhones and Android devices called “Know Your Rights.” It’s in Arabic and English, designed for both Saudis and foreign women living in or visiting the kingdom. There’s an intro video explaining women’s basic rights, and icons to help navigate the legal system, which relies in part on Islamic religious law, or sharia. Issa met with The Times at her Riyadh office to walk us through the app. I realized a lot of women don’t know their rights. I thought maybe I should publish a book, but it’s an app era. Everyone’s using apps on their phone. I’ve always wanted to help women, been involved in women’s rights. This way they can do it themselves, be independent. … I wanted it to be like a women’s kingdom, anything is there. There’s even a section on intellectual property rights: You wrote a poem, someone stole it. Your husband stole your jewelry? You’re looking for a job? There are links, including some government links. I specialize in corporate law, so I had to learn about sharia, to go to the courts and talk to women who had tried to get alimony and custody. The reason I went to corporate law is because in Saudi Arabia there are no family law firms. It’s not like “Boston Legal.” That’s why I did it on the side. In the U.S. you can make money as a divorce lawyer. It’s not like that here. What did you learn from your research at the Saudi courts? They’re very old school. When you file a lawsuit, you have to notify the other party and they have you draw a map of where they are. A lot of these women are uneducated, they don’t know how to draw. So I did this icon called “opponent location.” It’s linked to Google Maps. All she needs to do is go to her husband’s house or whoever she wants to sue, click on it and print it to give to the clerk. … We have a video that explains the whole process of filing, and lawsuit templates. If a woman doesn’t know her rights, the judge isn’t going to explain, he’s just going to say ‘Next!” … We have written laws that she can use to her benefit, but with sharia, it’s a little harder. For instance, in sharia, it says a girl from age 7 should go with her father, a boy at age 12 can choose. But the courts are now realizing that doesn’t work and are just giving them to the mothers. You funded the project yourself, and the app is free. What kind of response have you received? We had 50,000 downloads. But now we have 30,000. They use it and uninstall it. So we’re trying to see why that is. It is legal. The Ministry of Justice called me and they want to sponsor it, but they want to do it without a fee. So I’m trying to talk to them because I have to rent a server. The app has an icon that connects women with questions to you, pinging your phone — what do they say? Sometimes they say ‘I don’t understand’ and I tell them to watch the video several times. There’s a kind of dependency. I created an icon for the lawyers directory because I can’t take these [calls] all on my own. We have all the contacts and for those without lawyers it says ‘email me your CV.’ Most of them are volunteers. I get about 47 consultations a day. I just put the expat icon up this week and I got two calls, one from a woman in Arizona who said she’s married to a Saudi and had some issues, one from an expat woman in Jidda who’s divorcing. Under the kingdom’s male guardianship system, women are considered minors. King Salman is considering changes to the system — how would that impact women’s rights? What the king said is if there’s no laws or regulations or sharia [requiring guardian approval] then you can’t do it. If you want to look for a job, some jobs will require a letter from a guardian. That would be out. But other areas where women need guardians’ approval are less clear? There’s still renting a flat, release from prison, traveling, marriage. Let’s say your time in prison is over. It’s not like the movies where the doors open. If her guardian doesn’t come get her, she just rots there. So it’s not clear whether the king intends to change that, but do you think women’s rights are advancing? It’s definitely moving forward, but it’s baby steps. … There is pressure from abroad. Plus Saudi Arabia has a seat on the U.N. women’s commission [as of April]. That’s going to make them want to show results.